Uses of Inlay wax: 1. It is used to make patterns for metallic restorations. 2. Patterns for inlays, 3. crowns and bridges is first made in wax and then converted into metal or ceramic by casting. Available in Green, Blue, Red. Special Hard Blue and Green. 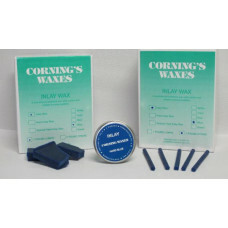 The ideal wax for all gold ca..